During the hot summer months kids, dogs, and even adults can cool off and have some fun playing out in the lawn under the rain of a lawn sprinkler. Of course it’s more fun with a Slip N Slide. 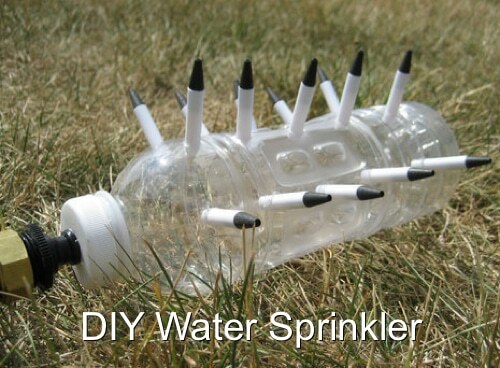 🙂 We found this DIY lawn sprinkler that’s made primarily of recycled materials including old ball point pens. The cost is about $5. Not too shabby.